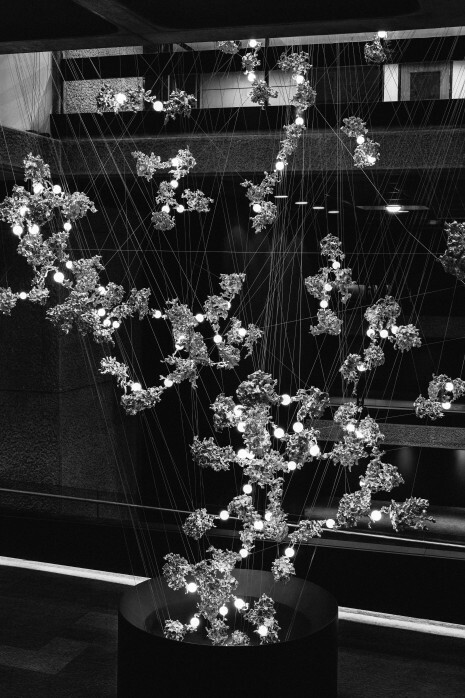 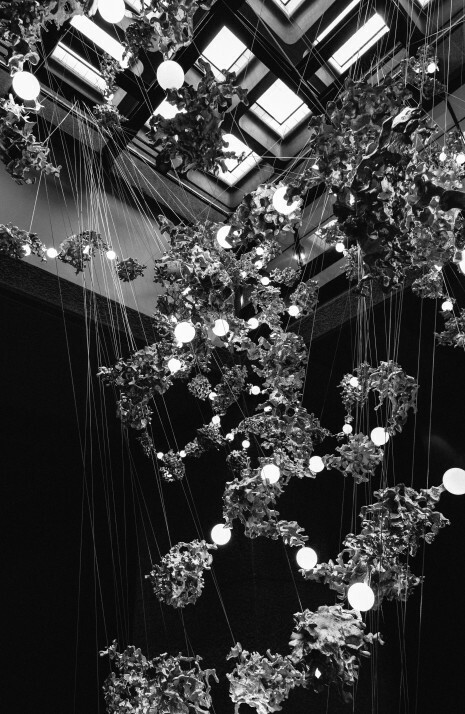 Bocci’s immersive light installation 44 is the second site-specific commission for the Lightwell in the Barbican foyer. 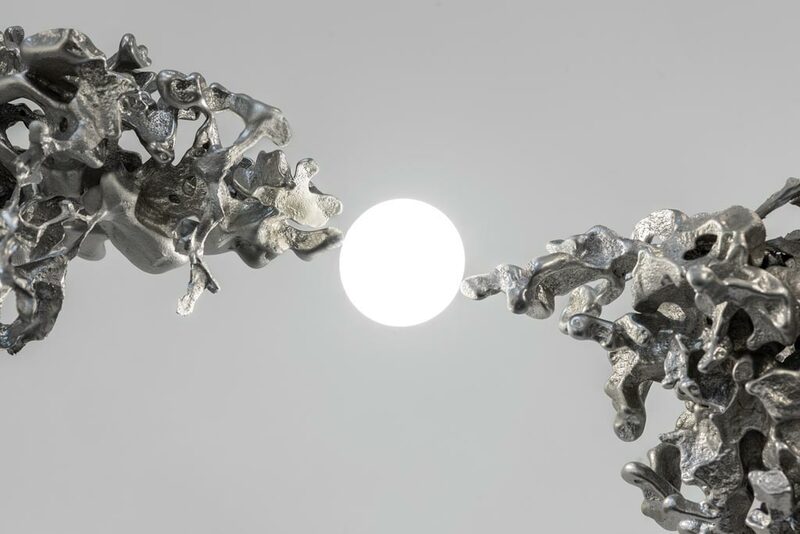 Designed by Omer Arbel, the light installation comprises of over 151 free-poured aluminium forms resulting from a specialised fabrication technique which are suspended from the ceiling by a matrix of thin cables. 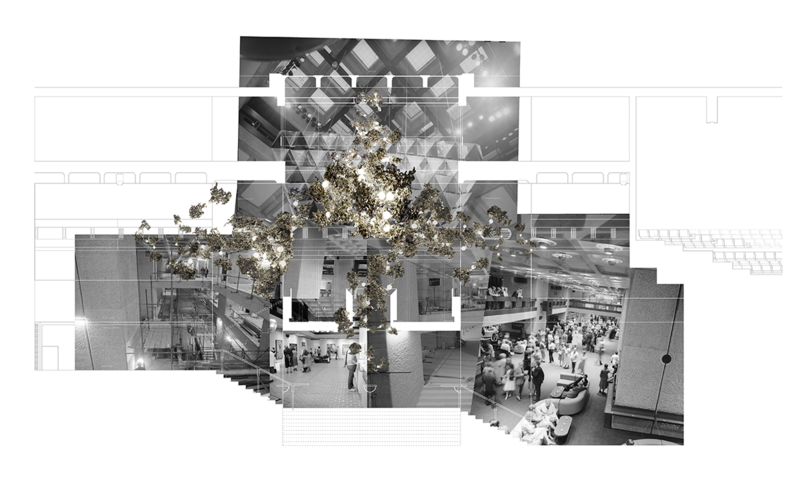 As the sculpture, 44, descends into the space and expands, it punctuates the spaces of the Barbican foyer, engaging with notions of weightlessness and mass, craft and mass-production. 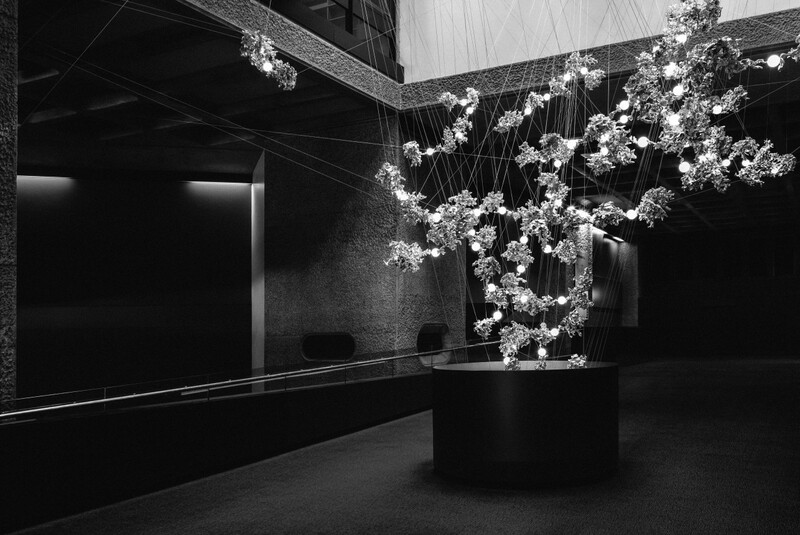 Located in the heart of the City of London, the Barbican is a world-class arts and learning organisation. 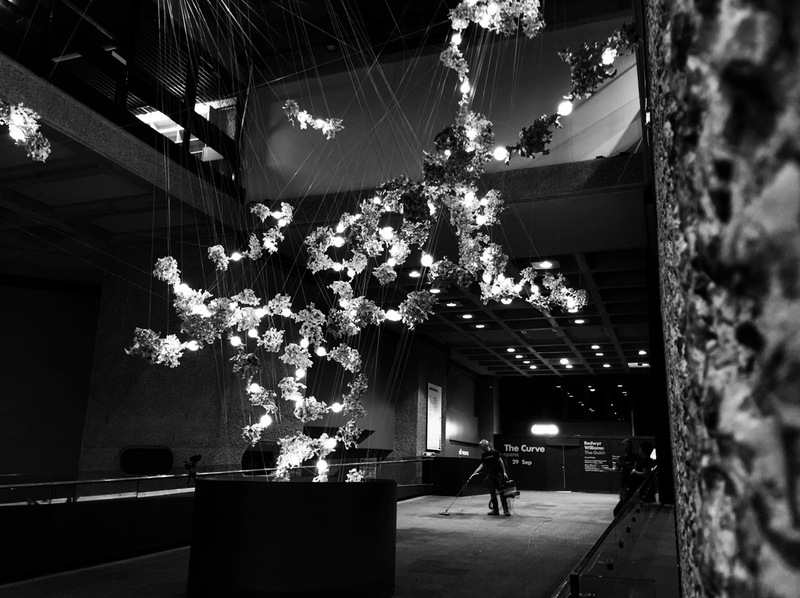 Pushing the boundaries of all major art forms including dance, film, music, theatre and visual arts, the Barbican innovates with outstanding artists and performers to create an international programme that crosses art forms, investing in the artists of today and tomorrow.